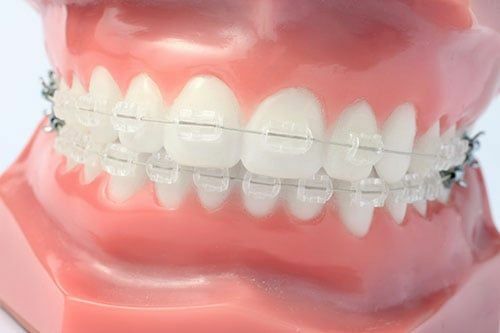 Translucent 'clear' braces and tooth colored ceramic brackets provide a very aesthetic alternative to traditional metal braces. Today's clear braces provide the same quality of treatment as metal braces, but are simply less noticeable. Dr. Irwin, an Invisalign dentist in La Habra, often recommends an Invisalign procedure rather than traditional braces. Invisalign is the breakthrough technology that lets you have the smile you've always wanted without the hassle of braces. By using a series of clear, removable aligners, Invisalign straightens your teeth with results you'll notice sooner than you think. The course of treatment involves changing aligners approximately every two weeks, moving your teeth into straighter position step-by-step, until you have a more beautiful smile. And unlike conventional braces, these clear aligners can be removed while you eat and brush your teeth as usual. An average Invisalign course of treatment takes about a year. A lower lingual arch is a space maintainer for the lower teeth. It maintains the molars where they are, it does not move them. It keeps the molars from migrating forward and prevents them from blocking off space of teeth that develop later. Used when early loss of baby teeth or when lower teeth are slightly crowded. A posterior cross bite can appear at an early age, and depending on its cause (mal-positioned teeth or misaligned jaws) treatment may be warranted early. It can involve one or both sides of the molar area and in some cases in can cause a 'shift' of the bite. Many appliances are available for treating the condition and your dentist will discuss in detail the risks and benefits of treating a posterior cross bite. 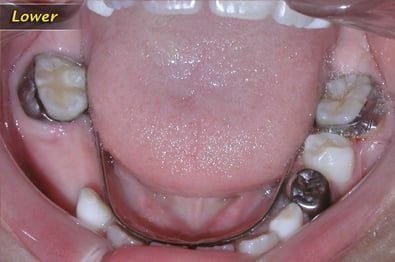 Anterior open bite refer to a condition in which the top and bottom front teeth are not in contact (they do not touch each other when the patient bites). 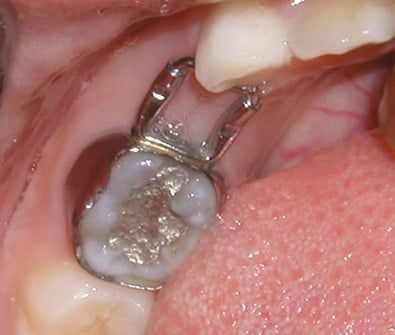 The origins of open bites can be traced to habits that patients have or had in the past, and occasionally to discrepancies between the sizes of the jaws. Since most open bites in children are associated to an existing habit, treatment usually addresses the habit itself and is most effective when done at an early age. Many appliances are available for treating this condition and your dentist will discuss in detail the risks and benefits of treating an open bite in children. 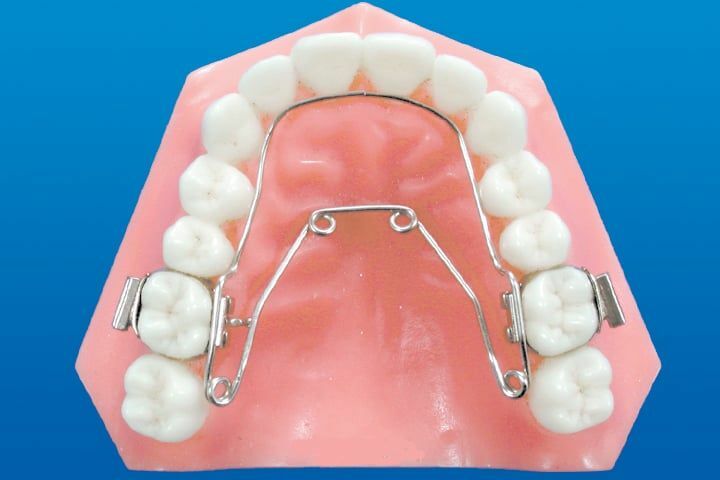 This retainer is useful in correcting minor rotations and crowding. 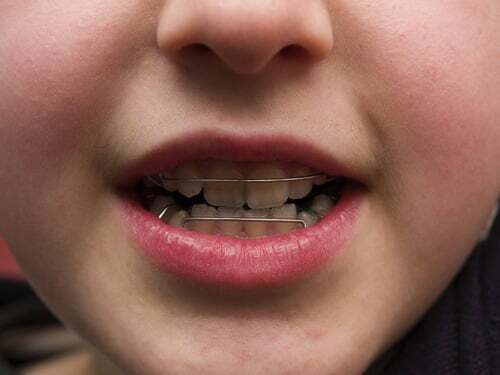 When worn, the spring action of the wires, provide a light force to align the teeth. 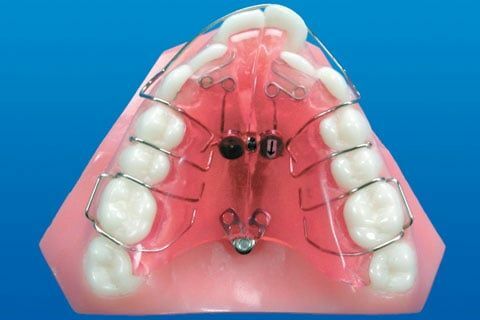 The appliance is constructed to the 'ideal' setting and the patient's teeth adapt to their new position. Class I - A malocclusion where the bite is okay and the top teeth line up with the bottom teeth, but the teeth are crooked, crowded or turned. 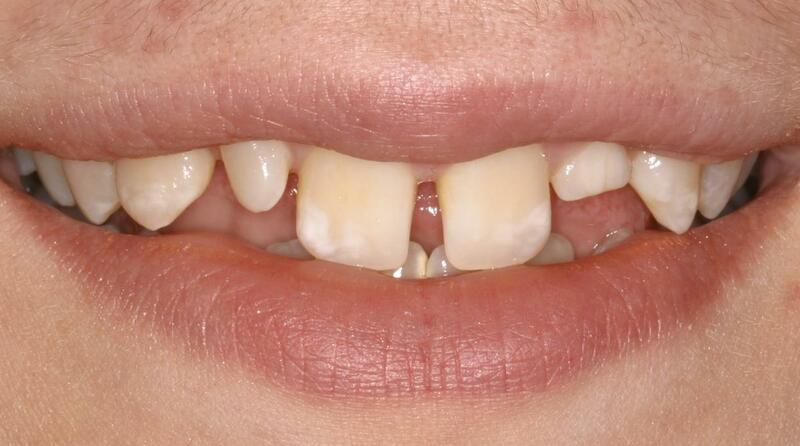 Class III - A malocclusion where the lower teeth stick out past the upper teeth called an 'under bite'. When the desired objective of a treatment plan requires bodily tooth movements, significant tooth rotations, root torquing or leveling, aligning, and rotating of entire arches, it is necessary to utilize full arch fixed mechanics. The Wilson 3D system utilizes a series of precision arch wire systems to enhance the efficiency of most fixed appliances. 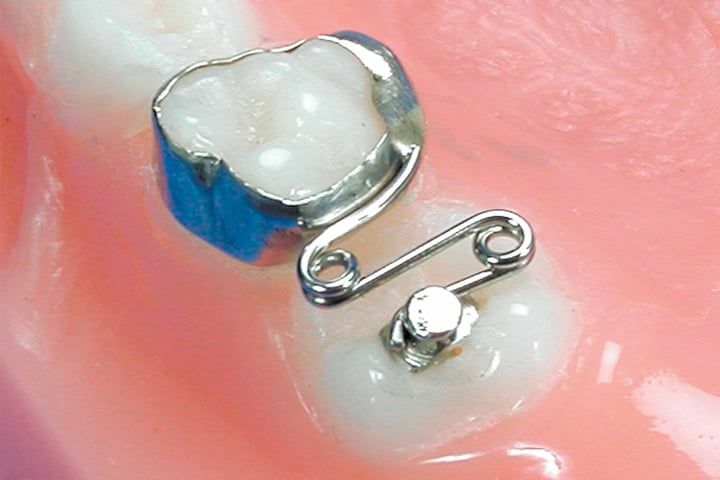 These snap-in modules fit into lingual tubes that attach to molar bands. Rapid results from using the Wilson 3D system are possible due to the twenty-four hour per day wearing time. 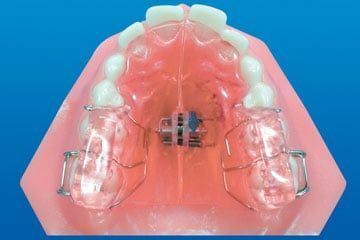 This system is effective in a variety of movements and tooth positioning.